Rapper San E has yet again managed to put himself in the headlines after offending the audience with his comments about feminism during a concert over the weekend. 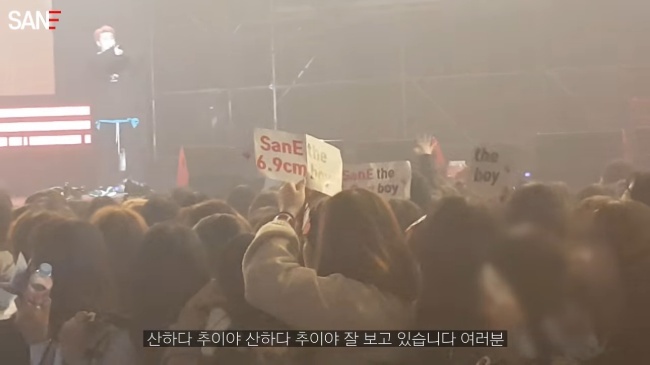 The comments came during a break in Sunday’s concert after some audience members chastised the rapper for his views on gender issues, holding up placards criticizing him during his performance and throwing a stuffed toy with an offensive message at him. 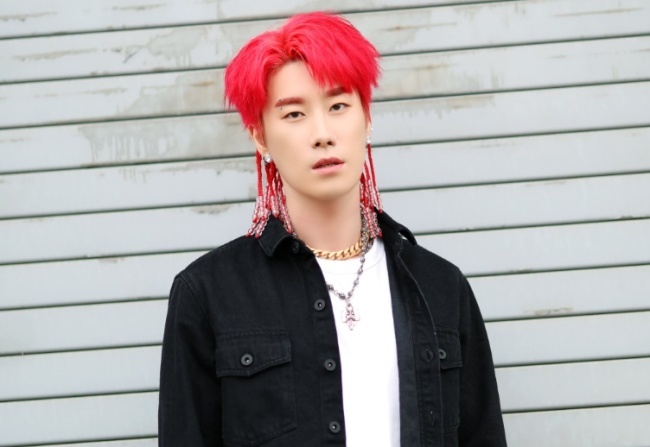 Last month, San E faced criticism after releasing his single “Feminist” over lyrics that many saw as sexist and ignorant of what feminism stands for. His remarks about Womad and Megalia caused outrage from the audience, briefly halting the concert at the SK Olympic Handball Gymnasium in Seoul. “Even if you continue to attack me, I have zero interest. No matter what you lot say, I just go my way,” the rapper said during the concert. 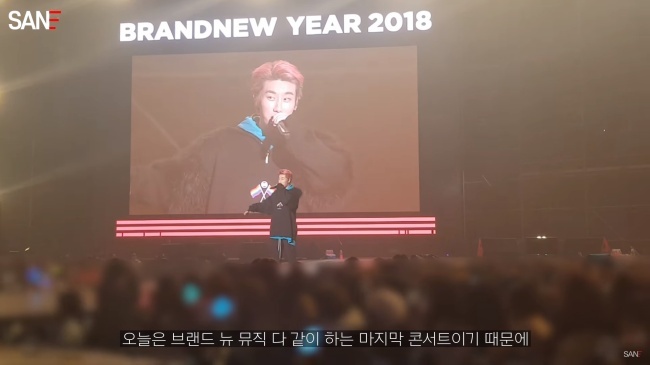 Following the controversial remarks, Rapper Rhymer, who heads the hip-hop label behind the event Brand New Music, apologized on behalf of San E.
“To those who were offended, I apologize on his behalf,” Rhymer said onstage as he bowed to the audience. Despite Rhymer’s apology, San E’s attitude provoked mixed reactions online after the concert. “He lacks professionalism. Not all audience members are from Womad and Megalia, yet he lost his cool during the performance and caused chaos,” one angry user on Naver wrote. Despite the controversy, the rapper seemed undeterred as he teased the release of a new single, “OongAngOong,” on Twitter in the early hours of Monday morning.